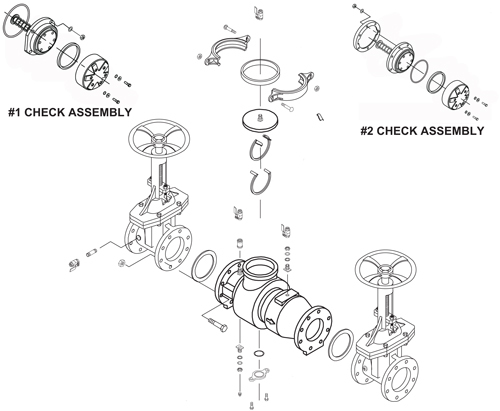 This is a second check retainer for the Wilkins 350DA series double check assemblies. The check is held in place by this stainless steel retainer that gets bolted with seven studs and nuts. Genuine Zurn/Wilkins repair parts. No special tools are required for servicing.